Orion is the Winter classic. Visible in the early hours as Autumn progresses, it comes into its own in Winter. From UK latitudes it sits proudly in the South in late evening from December. 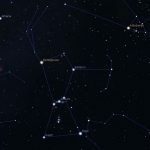 It contains one of the brightest deep sky objects, M42 and has a distinctive shape that most can recognise as the constellation mythological figure it represents. 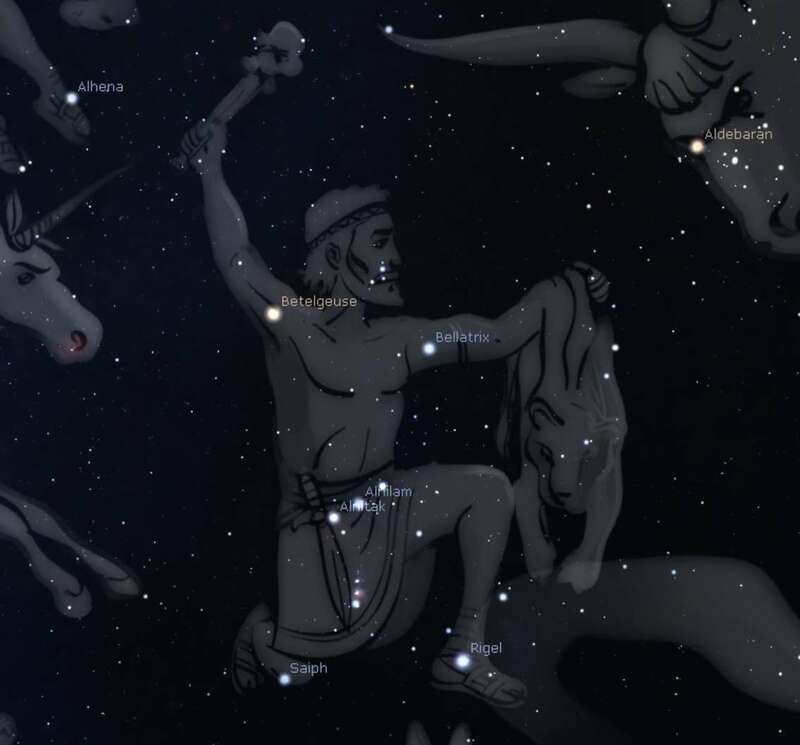 Even its stars are above averagely interesting. Betelgeuse (α Ori) is red supergiant and around magnitude 1 as seen from Earth. It actually varies from magnitudes 0.4 to 1.3 but in a semi regular manner i.e. the length of each period is not the same (around 400 days) and the change of magnitude differs per cycle. It’s a young, heavy star burning fast. In terms of size, if swapped with the Sun, it would engulf all the inner planets and some of the asteroid belt. It will supernova sometime in the next million years and create an impressive sight. Rigel (β Ori) is a blue supergiant and is also slightly variable. It is a very luminous star and offers a nice contrast in colours with Betelgeuse. It is binary star; its companion is magnitude 6.7 and observable with amateur scopes. Rigel is 20 times the mass of the Sun and has consumed most of its hydrogen and so is fusing other elements to generate energy and a surface temperature of 12,700K. It will become a red supergiant and then ultimately a Type II supernova. Close by is IC2118, the Witch Head Nebula, which Rigel illuminates through reflection. The Orionid meteor shower each year peaks around 21st October having started around 2nd and continuing until early November. The source of the material generating the shower is none other than Halley’s Comet. 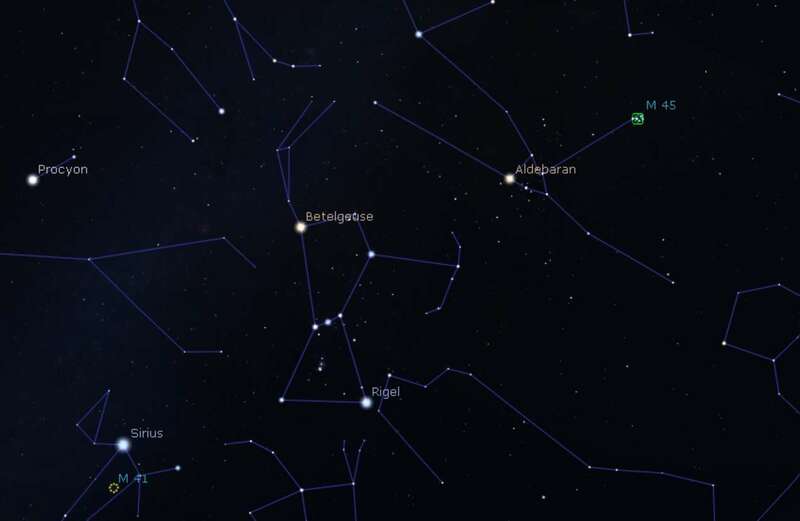 The peak ZHR is 66 meteors an hour and the radiant sits between the constellations of Orion and Gemini. 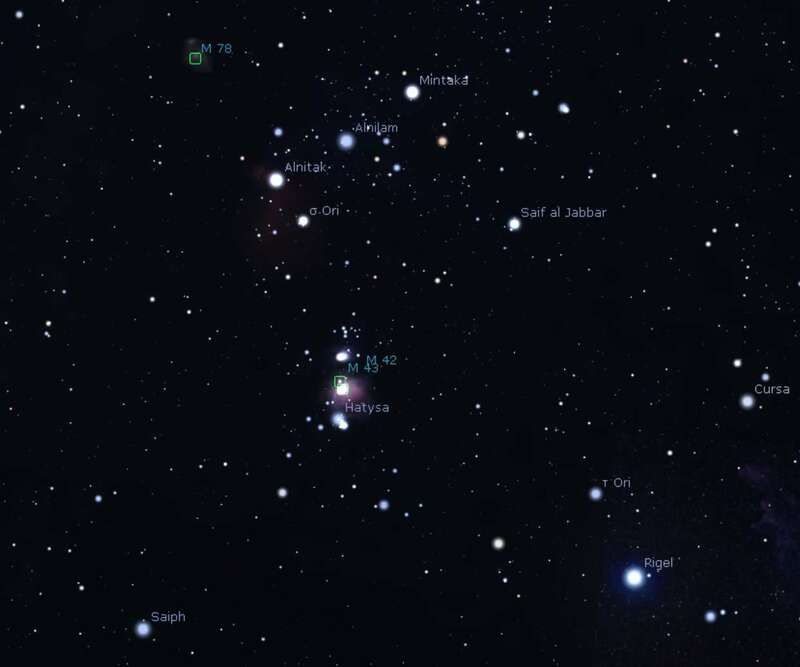 There is a second, November Orionids with the radiant just above of Orion. It runs from 13th Nov to 6th Dec and peaks around 28th Nov. The ZHR is 44. 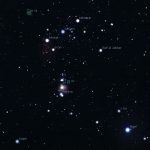 Orion is a hard one to miss due to its distinct shape but as it rises in the East it can be harder to find. 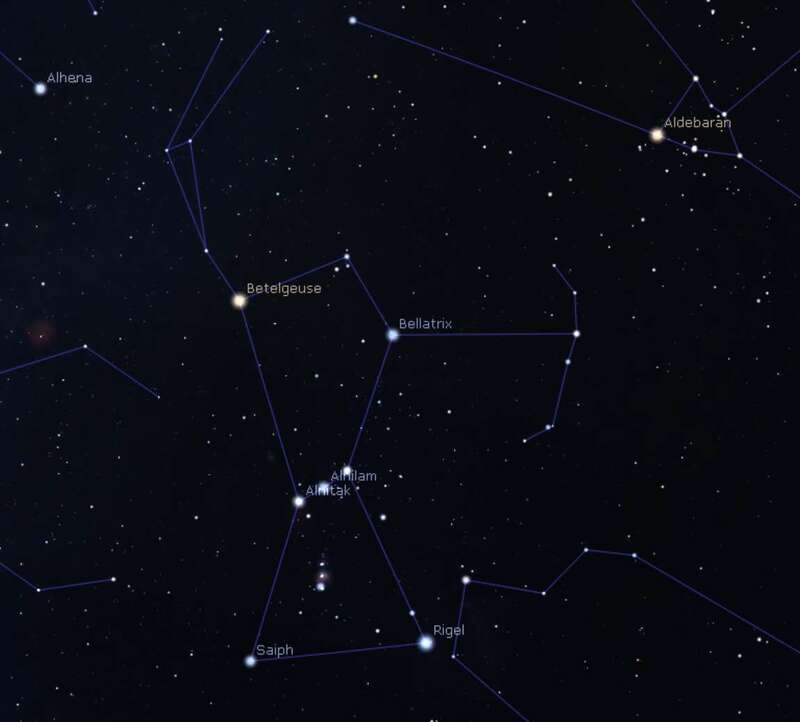 To locate it, simple find the M45 Pleiades cluster and move southeast through the Hyades cluster, the V in Taurus. 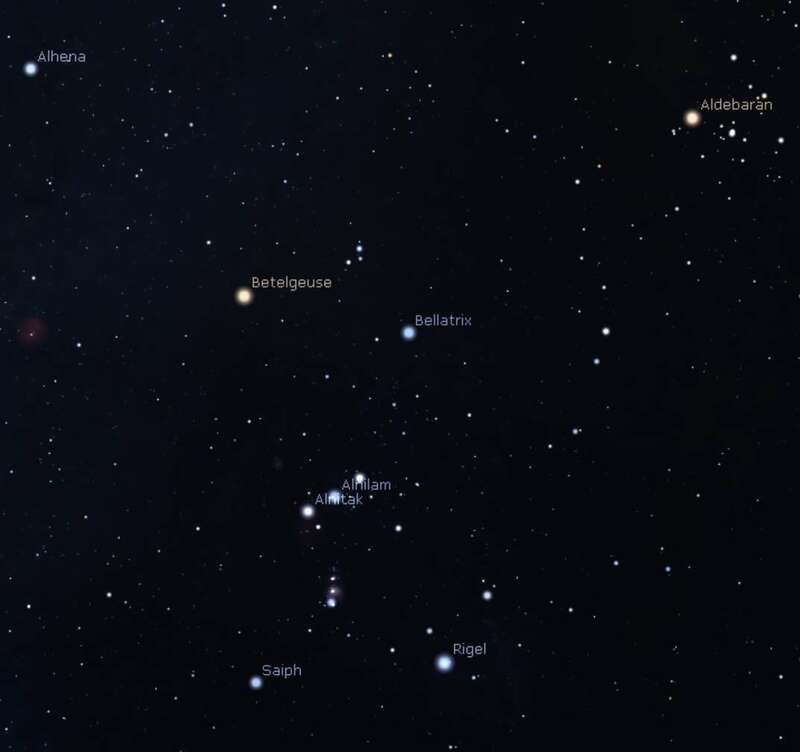 Move along this line, the same distance again and you’ll be at Bellatrix, the top right hand side of Orion. 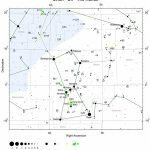 Once found, you can use Orion as a reference point in the sky using the belt and its stars to navigate to other constellations. 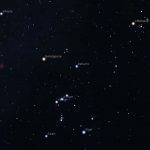 Orion’s position in the sky and distinctiveness means that it is seen by all cultures around the globe and developed multiple incarnations and mythologies. The one we use is the Greek one. He was born of Euryale and Poseidon and was a big chap with the gift of supernatural power. 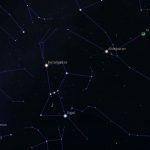 He took on the Scorpion sent by Gaia and required Ophiuchus to step in and so now Scorpius and Orion are on different sides of the sky and Ophiuchus is in between keeping the peace. 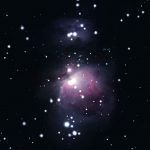 M42, the Orion Nebula, is the standout jewel in the Winter skies for those new to astronomy. Like M32, the Andromeda Galaxy, it is sometimes overlooked by regular observers but that is a shame. 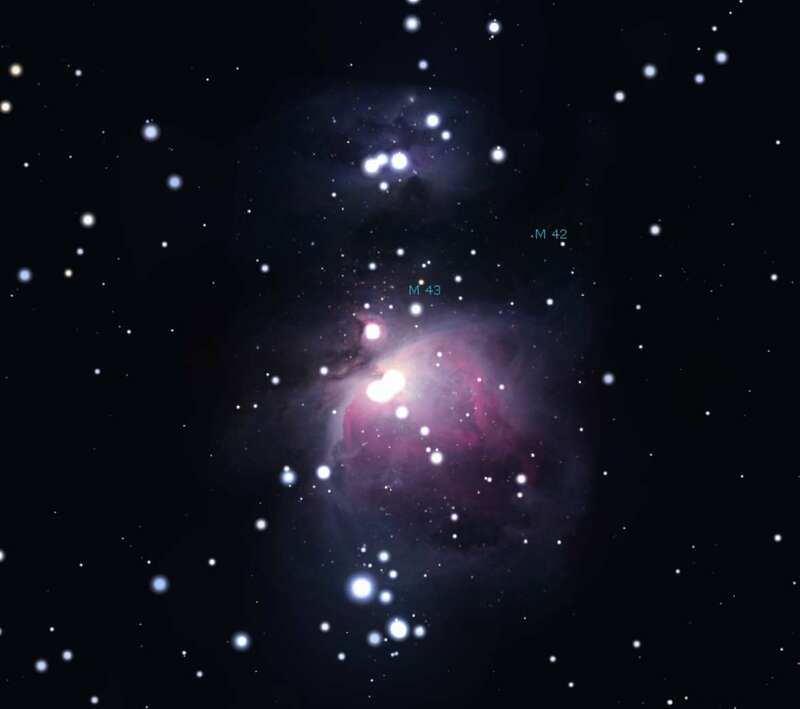 The Orion Nebula is a star forming region that looks like bright puffs of smoke through the eyepiece. Structure in the cloud is visible and if dark enough, perhaps hints of colour. Simply take a photo through the eyepiece or bolt on a DSLR with a T-adapter and a short exposure will bring out the riot of colour that is M42. The centre of the object shows the Trapezium, four stars formed recently in the nebula. Two of the Trapezium are actually binary and so it is a group of 6 stars. 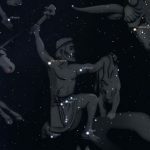 The nebula is located in the Sword of Orion, hanging from his belt and appears as a diffuse area to the naked eye and nebulous in binoculars. It is this object which was the subject of the first usage of astrophotography in 1880 by Henry Draper. M43 sits to one side of the Orion Nebula but is actually part of the same complex of gas clouds. A dark band of dust in front creates the illusion that they are separate. M78 sits above the belt a short journey from Alnitak to Betelgeuse. It is a reflection nebula, lit by two 10th magnitude stars in its midst. The Horsehead nebula is dark. It is tough to find it visually especially with small to medium apertures. Adding darker skies, a filter and a camera dramatically improves your chances of capturing it.